Minister for Transport, Tourism & Sport Leo Varadkar has described the provision of 150 new ICT jobs at Liberty Mutual Insurance Group as a massive boost for Blanchardstown and reinforces its status as a technology hub. 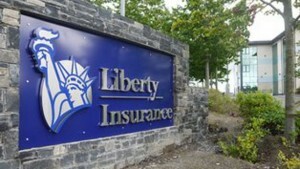 “This is a real vote of confidence by Liberty Mutual in Blanchardstown. It’s fantastic that this premier global insurance company is expanding its operations in the area and I welcome its commitment to west Dublin.